Tech Bay Area Advocates (TBAA) is open to anyone, and the group has no membership fees. Advocates are recommended by Advocates. Advocates have access to an online proprietary system and internal communications which allows access to the network of over 7,000 Advocates globally. Prospective Advocates are reviewed through the Board then invited in to the organization. For More information, please contact admin@techbayarea.org. Working Groups are groups of like-minded Advocates who set objectives like education or professional development within a tech vertical. 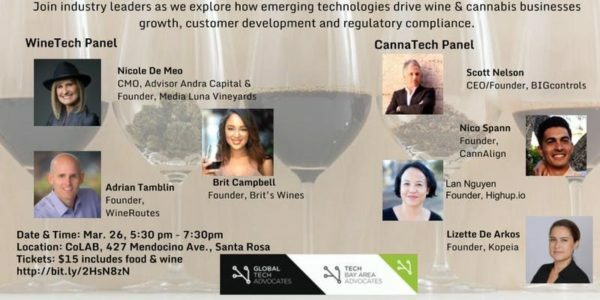 TBAA Working Groups include verticals such as Blockchain, Women In Tech, WineTech, CannaTech, Creative or geographies like Mexico, Turkey, LatAm. Working Groups have an opportunity to showcase their efforts, build their networks and move forward at TBAA events and through the online platform. There is no time commitment required to being an Advocate; you can participate in and engage with the group as much or as little as you like. Be in sync with the mission, values and messaging of Global Tech and Tech Bay Area Advocates. When ready, help expand the Tech Bay Area Advocates by introducing 1 to 2 new Advocates annually from the Bay Area, North Bay or around the world. Adopt the ethos of helping one another for the ‘greater good’ as a means of establishing a strong and vibrant technology sector. Maintain the highest level of integrity in dealings with fellow Advocates, the Tech Community and the overall Communities in which we live. Maintain a positive mindset and have FUN! Support providing a hand up to the growing need of the underserved youth in the Bay Area through Tech for Good practices like volunteerism, active engagement or donations.